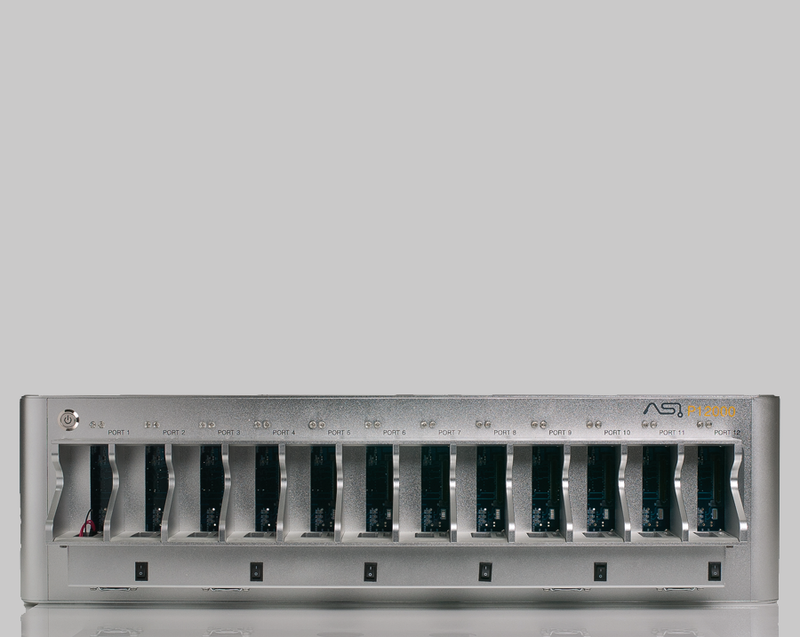 12 PORT TEST SYSTEM FOR SFF8639 DUAL PORT NVME SOLID STATE DRIVES. THIS TEST SYSTEM SUPPORTS PCIE GEN3.0x4 LANE (BACKWARD COMPATIBLE WITH GEN 1 AND GEN2). INCLUDED IN THE TEST SYSTEM IS THE INTEGRATED PMU (POWER MANAGEMENT UNIT) THAT IS PROGRAMMABLE VIA USB OR ETHERNET. THIS ALLOWS ARE SEPARATE POWER ON/OFF CONTROL AS WELL AS LED CONTROL. OPTIONAL ADAPTERS (SOLD SEPARATELY) CAN BE USED TO TEST PCIE CARDS AND M.2 FORM FACTORS. P12000 IS SOLD AS HARDWARE ONLY, BUT BASIC PMU AND NVME TEST TOOL SOFTWARE IS AVAILABLE UPON REQUEST.